When I was growing up The Phantom Tollbooth was one of my favorite books. I could relate to the doldrums of boredom and the idea of being magically transported to a land with wacky characters and delectable words was enchanting. Reading the book with my daughter was a pleasure for both of us and when I read the book with a few of my students I had a joyous time coming up with book extension activities. 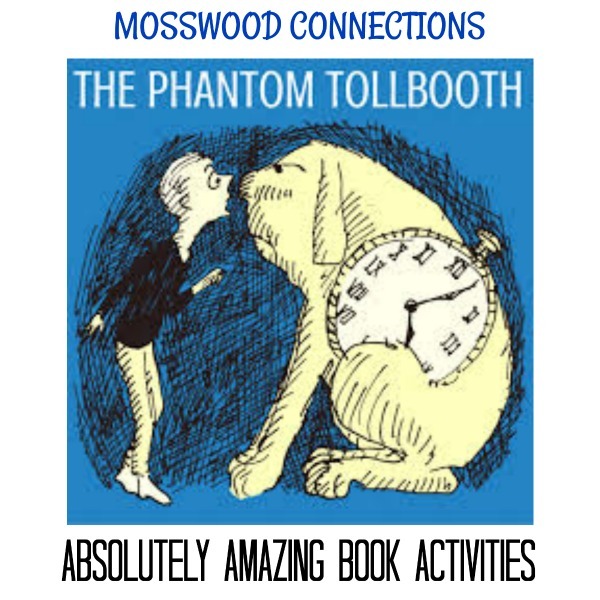 We hope your children and students enjoy The Phantom Tollbooth by Norman Jester and our companion activities as much as we did. This ingenious fantasy centers on Milo, a bored ten-year-old who comes home to find a large toy tollbooth sitting in his room. Joining forces with a watchdog named Tock. Milo drives through the tollbooth’s gates and begins a memorable journey. He meets such characters as the foolish, yet lovable Humbug, the Mathemagician, and the not–so–wicked “Which,” Faintly Macabre, who gives Milo the “impossible” mission of returning two princesses to the Kingdom of Wisdom. The book is split into the different lands that Milo must travel through to rescue the princesses. We came up with an activity for the different lands and places that Milo visits. Materials: Dice, Pretty shiny rocks , dead flowers. Tell the kids that they will either get a flower or a rock. Roll a dice; if odd you get a rock if even you get a flower. Give either an old wilted flower or a pretty rock depending on what they roll. The children were hoping for the flower and it was fun to see their reactions when they saw the old flower. Discuss what their expectations had been. Materials: Vocabulary words. You can use our vocabulary words for the fourth grade or use the ones from our teacher resource guide. You can’t get in the gate until you “pass” the vocabulary test. 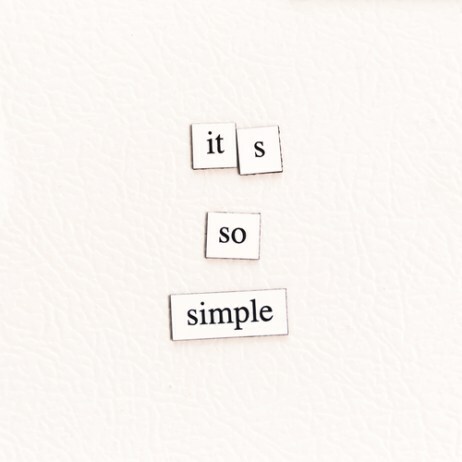 Put word magnets in sentences. Have fun comparing the sentences you made. Team problem-solving exercise: Have the kids do a blindfolded obstacle course. Have the students take turns being blindfolded and being the guide. Afterward, talk about how it felt to be blindfolded, how did it feel to be guided. Do you think it was anything like what Milo felt when he was in jail? Eat your words: alphabet cookies. Before they can eat the cookies see who can make the longest word. Kids have a blast sharing their words with each other. This chapter is about synesthesia. The most common form of synesthesia, researchers believe, is colored hearing: sounds, music or voices seen as colors. Listen to music, draw what you see. It’s interesting to see how different students react to this assignment. Suggest that students start their collages with a drawing of a character from The Phantom Tollbooth. Have them draw their character on one side of the paper. Provide magazines from which students can cut out words and phrases that describe their character. 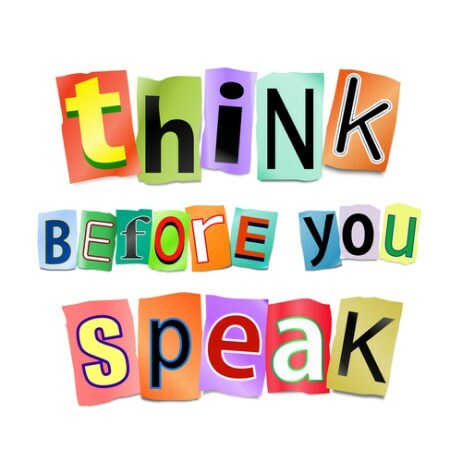 Have students paste the words with cut out letters to the backs of their collages. Have students paste these explanations to the backs of their collages. Display the collages in a classroom gallery with the words side facing forward. Students can try to guess who the characters are based on the words. They can check their guesses with the pictures on the back of each collage. Playing with synonyms: Use a thesaurus to find 5 synonyms of do, said, blue, round, fat, thin, went, try, saw, tall, big. Then pick a few of the words and use them in a sentence. 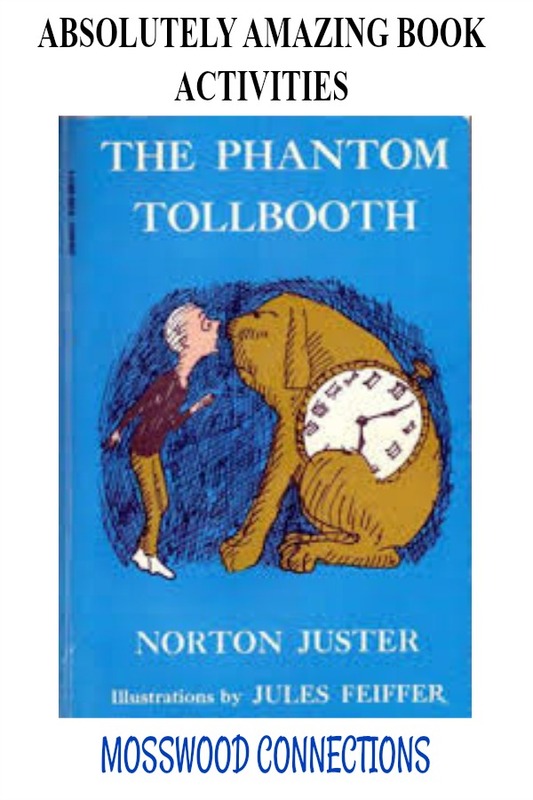 You can find standards, vocabulary, writing prompts and chapter by chapter discussion and comprehension questions in our The Phantom Tollbooth by Norton Juster Teacher’s Guide. A Teacher’s Guide for Ivy and Bean: What’s the Big Idea? It’s the Science Fair, and the second grade is all over it!